Dogs Sleeping Forum • View topic - Who opened labour party hq london? A) a stalin supporting leftie? B) a genocidal ethnic cleanser? Well that'll do. Was going to do a c) but felt so sick couldnt carry on..
McAz wrote: Get well soon. You a supporter of the genocide/ethnic cleanse of the rohingya muslims then mcaz? You think its funny? Id ask canny but he is salivating about moving to thailand where human rights abuse is amongst the worst on record. Day to day life coping with losing referendums, elections arguments, supporting regimes that abuse human rights. I can see why you are all such humourless joyless souls. 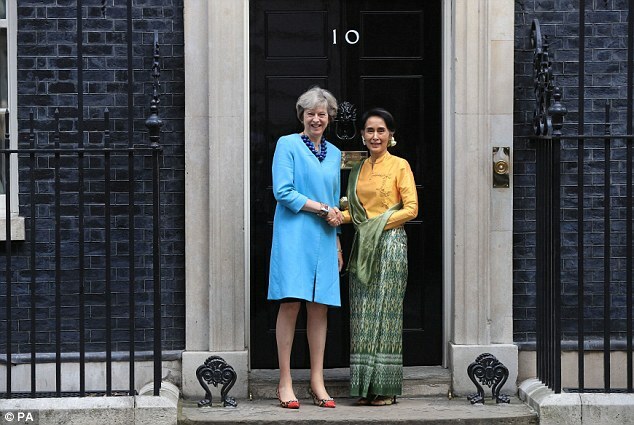 Boris Johnson was criticised for a “gushing” statement to the Burmese leader last week, where he called her “one of the most inspiring figures of our age”. The Foreign Secretary added: “But the treatment of the Rohingya is alas besmirching the reputation of Burma. “She faces huge challenges in modernising her country. I hope she can now use all her remarkable qualities to unite her country, to stop the violence and to end the prejudice that afflicts both Muslims and other communities in Rakhine. Classic Vipes - no research whatsoever before foot in mouth. Last edited by McHenry on Sun Dec 03, 2017 12:00 am, edited 1 time in total. No wonder everyone thinks you are cunts and would vote for our worst team rather than your shambles.